My mom used to make this when we were out of wheat flour. But we called this one as maida poori. Years later I came to know this type of poori is known as Luchi.. Whatever the name may b, it tastes awesome like poori with some noticeable changes..
Add all the dry ingredients, oil together and mix well. Pour the warm water little by little and make a firm dough. Knead this dough for 2 minutes and divide into equal small balls. Keep this covered. Now dust the flour on the working area and take a ball and coat it with flour on both the sides so that it doesn't stick while rolling and start making slightly thick poori's using a rolling pin.. It should not be thin. 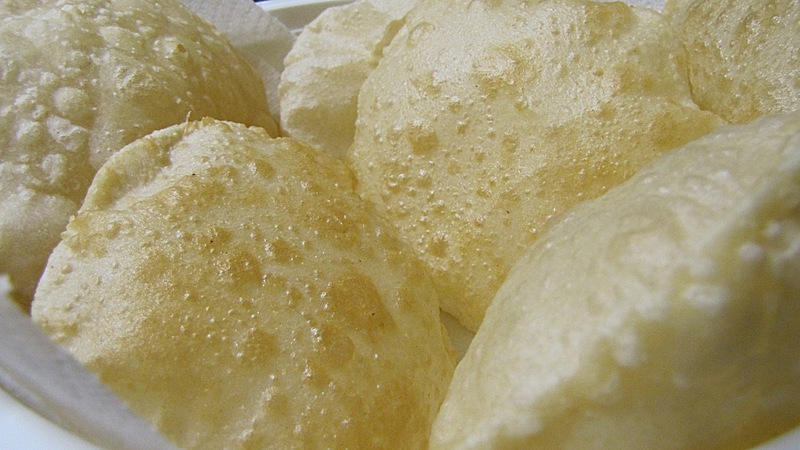 If thin, ur poori will not puff /bulge when fried. Keep the flame in medium and heat the oil. 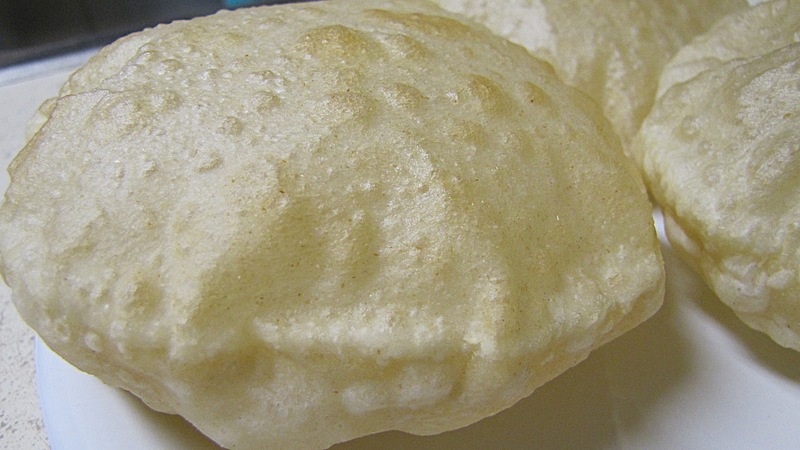 Fry the poori's and drain the excess oil using a kitchen towel. Reapeat the same procedure for the remaining dough.. Serve with channa masala..
wow...beautifully puffed pooris...yum yum yum! Love the puffed luchis... yum yum!